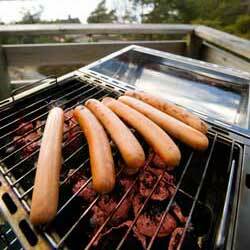 July is National Hot Dog Month. When you think about it, it makes total sense. In May, when we’re thrilled to be outside using the grill, creating culinary masterpieces with fire, we had National BBQ month. We still want to cook outside and use the grill in July, but we’d rather spend less time in front of the hot grill, and more time next to the ice cooler. Unlike BBQ, no matter what state you are in, if you order a hot dog it’s basically the same. You get the hot dog, the bun, and your selection of condiments: ketchup, mustard, sauerkraut, minced onions, chili, cheese, salsa, relish, and so many more. The Food Network even has a list of 50 fun condiments for your hot dog. 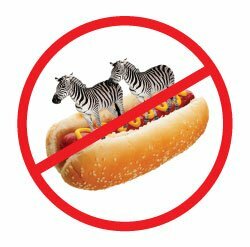 Not to be outdone, the New York Times lists 6 things that don’t belong on a hot dog including a bird’s nest, your brother’s gym socks and a tiny zebra. But under all those good, bad, or questionable toppings; a hot dog is a hot dog, is a hot dog. Which is why when I explain LLC’s and Corporations to my clients, I tell them that an LLC is like BBQ (Click here to refresh your memory on LLCs and BBQ), but a corporation is like a hot dog. Why Are The Corporate Laws So Similar? Like LLCs, corporations are mostly created by state laws. While other states technically enacted laws on corporations first, Delaware has been hailed as the leader in corporation law. New Jersey was one of the first states to enact corporate law (in 1896), but it repealed its law in 1913. As a result most corporations switched to Delaware. Although New Jersey reenacted its corporate law in 1917, it was too late and most corporations stayed in Delaware. As a result, Delaware’s case law is the most developed when it comes to interpretation of corporate law. Other states followed Delaware’s lead and that’s why corporate law is relatively uniform throughout the states. 50 states have laws regarding corporations and the law is basically the same in every state. This is why I consider corporate law like a hot dog. 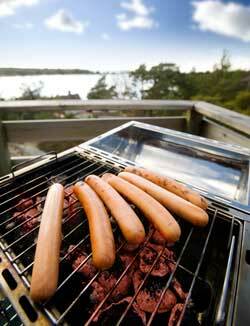 The main parts of the law (the hot dog and bun) stay the same in every state. Even the majority of the “condiments” are pretty similar wherever you go. In fact, although there are minor differences between the states regarding corporate law, other countries generally do not make such distinctions. Want to know more? Ask us about a customized comparison chart or our 151-page e-book of State Specific Requirements to Form Corporations in All 50 States and Puerto Rico.